Everyone likes cake. My friend Gary doesn’t, but Gary isn’t everyone, Gary is a strange, strange man. Everyone also likes memes. Tbf, Gary likes memes. LADbible favourite Hide the Pain Harold remains one of the best we’ve ever seen; his doleful expression, his perpetual state of ennui reminiscent of how we feel every Monday morning, staring into the mirror, sizing up the day ahead. So to honour our hero, we commissioned cake artist Sugar Spice Cakes to recreate Harold’s seemingly profound woe, on the off chance the Internet somehow breaks one day, a la The IT Crowd, and all record of his facial torment is lost. Admittedly, baking a foodstuff for posterity isn’t necessarily the best way of doing that, but watch this amazing video below, and hopefully you’ll get why it just makes sense. Amazing, creepy and delicious as he is, turns out that Harold isn’t the only incredible cake artwork on the internet. Instagram’s #CakeArt hashtag is a sugary goldmine of cakey masterpieces. If you haven’t checked it out, we recommend you do so immediately but, for the more time-poor amongst you, we’ve collected together some of our favourite #CakeArt finds. Check these out for size. This is Gizmo, and Gizmo is a gremlin. Star of not one but two Gremlins films. The first was called Gremlins, the second Gremlins II. Back in the eighties, you could just call a sequel (Film Name) Two and no one batted an eyelid. The cakes were good too. 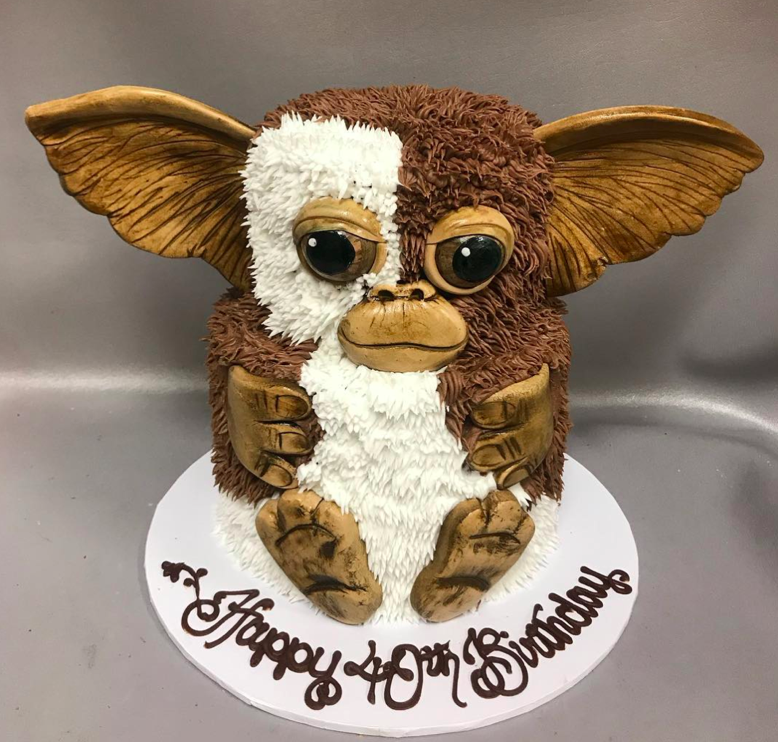 In honour of Gizmo, Cakesbydarcy set to work immortalising the lovable creature with this inspired #CakeArt beauty. Look at the detail in those adorable eyes. Look at his smile. Look at that icing. Look at the fact that someone’s fortieth birthday is being celebrated with a cake idolising an animal which (unwittingly) caused a small American town to descend into chaos, then did the same in New York a few years later. It’s not his fault. He just can’t eat after midnight. You can though. Yum yum. Mate, check out the icing on this beast. The verdant skin, the lush red of the fruit, the perilous black pips. Even the white rind looks delectable. 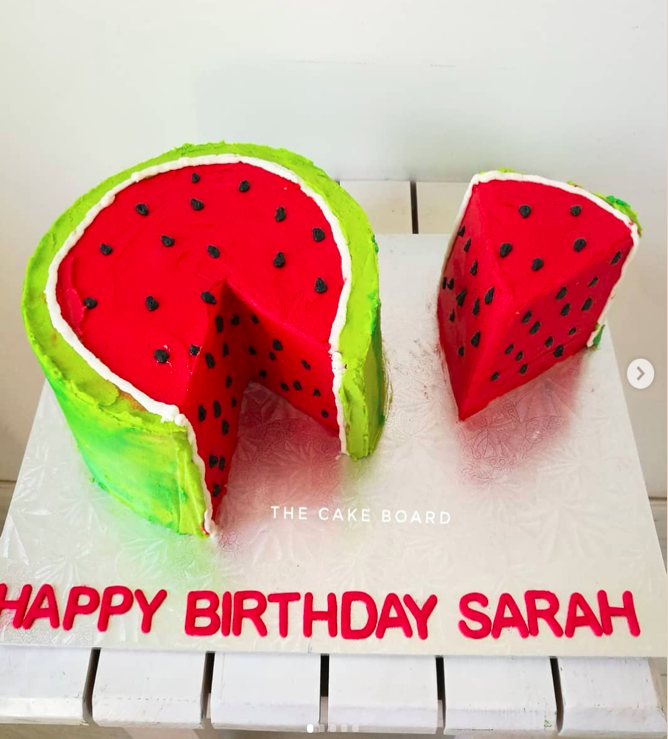 Nasimeen was ‘reminiscing about summer’ when she set to work creating this watermelon-inspired beauty, and she was doubtless reminiscing about cake, because she went and made this beauty. We presume Sarah, if that is her real name (there’s no reason it wouldn’t be) ate the whole thing. It’s gorgeous. To see more inspired creations like these, follow #CakeArt on Instagram. You wouldn’t believe some of the madcap creations to be found there. Some of them are beautiful, some utterly terrifying, some just plain delicious looking. There are even a couple that Gary might like. Yes, they’re meme inspired, but you have to start somewhere.